Many of you might remember this wide eyed, blob character with arms and legs, that first appeared way back in 1982 in the Pac-Man style arcade game of Hungry Horace by Beam Software. Which was celebrated as the first arcade game for the ZX Spectrum and the first game in the Horace series, such as Horace and the Spiders and Horace Goes Skiing. But now as a complete twist to the series, the developers Sunteam are making an adaptation/expansion of the Vic-20 game Mega Vault, featuring the famous Horace in a Spectrum style for the PC. In the VIC-20 game of Mega Vault you had to avoid deadly traps, collect food and finally get a key to unlock the mega vault in which Fred, a friend of yours, is imprisoned. 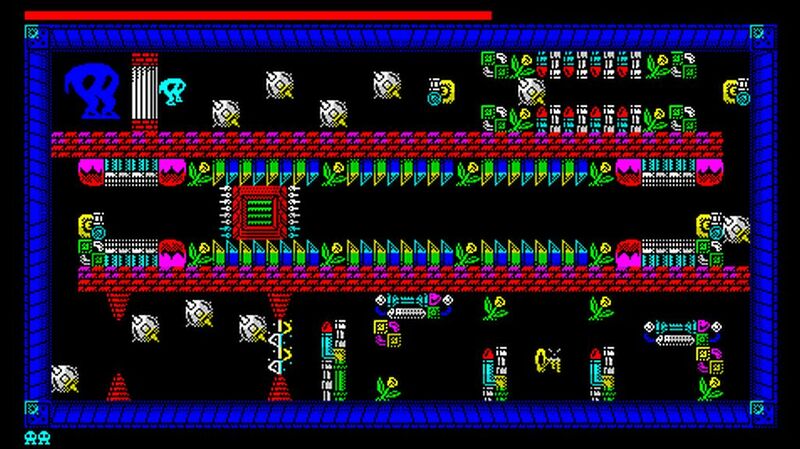 In this lovely looking ZX Spectrum styled version however, you once again have to avoid traps, collect food and the key, but this time you have to get back to the cage and rescue your father, big daddy Horace. Currently the game is a work in progress and due to be released for the PC soon.